Are you looking for a reliable, experienced electrician in West London? Look no further than London Electricians. With over 20 years of industry experience and a growing reputation as one of the leading firms of electricians in the local area, we can provide the exceptional service and technical help that you expect from a highly qualified electrician. From the simple replacement of a plug socket to a full property rewire, we offer a range of services and can complete a variety of electrical installations. Working with domestic and commercial clients alike, we can help to ensure that you can always call on a local electrician when you need to. We are available at any time of the day or night to fix any electrical fault or repair any essential electrical component. Offering a truly 24/7 service, our electricians can always assist in an emergency – whenever it occurs. When you need an emergency electrician in West London, we can help. We understand that your electrics can go wrong at any time, and that faults will often occur at the most inconvenient moments. Whether you need a quick repair job or are facing a more complicated problem, an electrician from our fully accredited and highly qualified team can take care of any electrical issue. Our experience and expertise means that you can feel confident that your home or workplace is in safe hands. 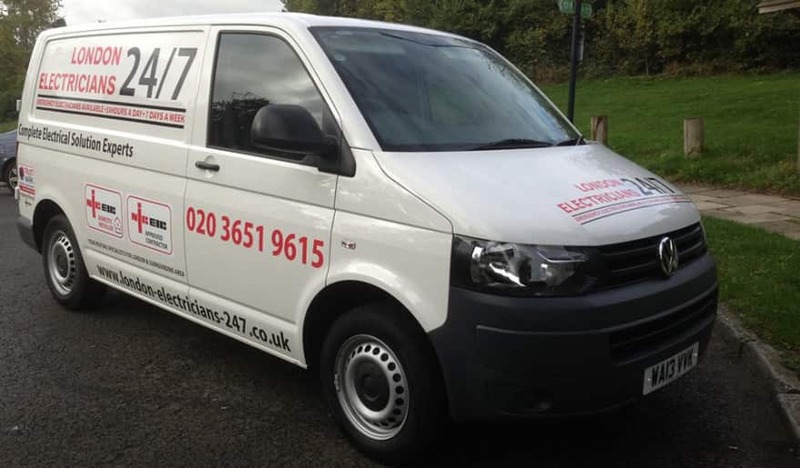 If you are looking for a firm of emergency electricians, contact us today on 02036519615 to arrange a call out. We cover all of West London! We cover the whole of London including Kensington, Camden and Islington. Contact us now to learn how we can help you! Work we do : 1. Fuse board replacement. 2. Full reviewing and partial reviewing. 3. Additional sockets. 4. Electrical fault finding. 5. Storage heaters repair and installation. 6. Emergency service. 7. Garden lighting. 8. Earthing and bonding. 9. Immersion heater repair ( water heaters ). 10. Kitchen wiring. 11. Smoke and fire alarms. 12. Fitting new lights ( chandeliers ). 13. Air conditioning.